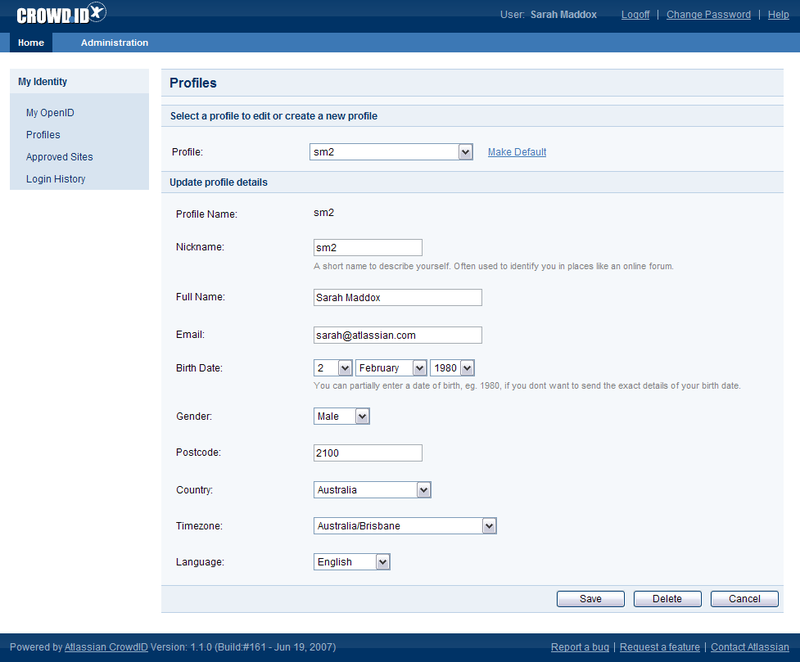 You can delete one of your profiles on CrowdID, provided that it is not your default profile. Click 'Profiles' in the left-hand navigation panel. 'Profile deleted' message is displayed at the top of the page. If you delete a profile which is linked to one or more of your always-approved websites, CrowdID will remove the affected website(s) from the list.